Pioneers in the industry, we offer chisel gasket remover, odc free cleaner, natural blue surface cleaning aids and electrical contact cleaner from India. Owing to our expertise in this domain, we have been able to provide the customers with a comprehensive range of Chisel Gasket Removers. The offered range is extensively used to remove oil, grease, paint and carbon deposits from all type of metals. Besides, the range is used to remove high temperature engine paints and varnish from substances and wooden surfaces, before repainting. The offered range is widely appreciated by the clients for its attributes such as corrosion resistance, inflammability and non-conductive properties. 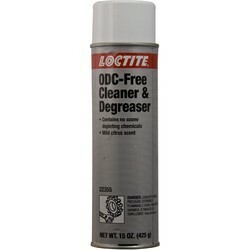 Over the years of experience in the industry, we have been able to bring forth the clients an excellent assortment of ODC Free Cleaners & Degreasers. Specifically designed for cleaning and degreasing surfaces in order to ensure good bonding with adhesives, the range is non-aqueous in nature. Besides, our product serves as a hydrocarbon-based solvent free from ozone depleting substances. The offered range is safe to be used on aluminum, rubber & plastics and does not cause flash rusting of water sensitive parts. 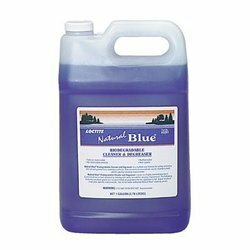 We are a reputed name in the industry widely appreciated for bringing forth the clients an excellent assortment of Natural Blue Surface Cleaning. Ideally used as an all purpose concentrated industrial cleaner and de-greaser, the range is biodegradable in nature and can economically be diluted in water. Extensively applicable for pressure spraying, wipe down and immersion cleaning processes at room temperature, the range is non-toxic in nature and contains no ozone depleting chemicals. Besides, the range is also pine-scented and inflammable in nature. We are a coveted organization engaged in providing the customers with a remarkable range of Electrical Contact & Parts Cleaner. 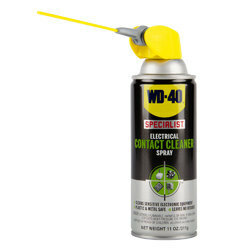 Ideally used to remove grease, oil and other contaminants from electrical parts, the range prevents contact failure of the equipment. The offered range is widely appreciated by the clients for its attributes such as corrosion resistance, inflammability and non-conductive properties. Also, the range is free of ozone depleting chemicals but contains HCFC-141b. Besides, the range may attack some of the sensitive plastic substances. 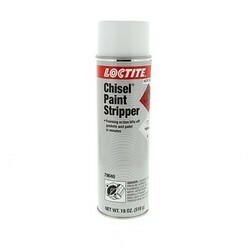 Looking for Henkel Loctite - Parts and Surface Cleaning ?